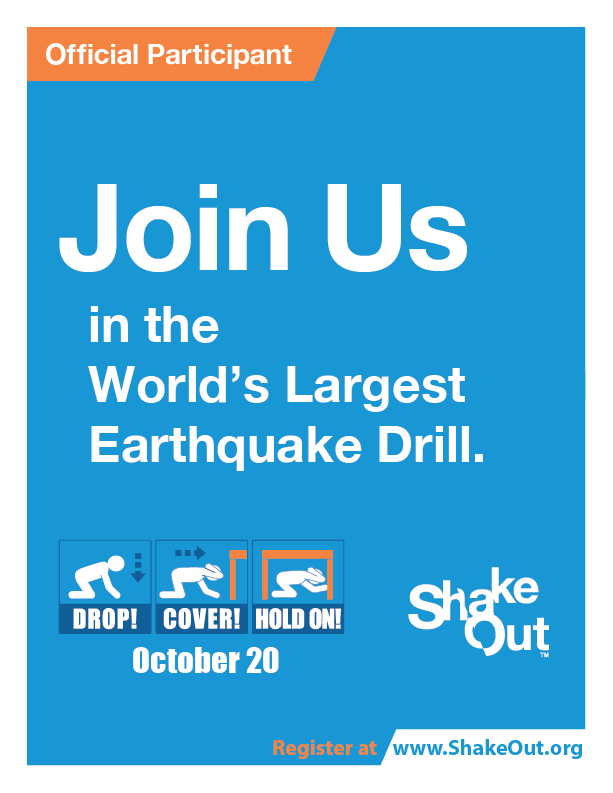 Click here to see the Global ShakeOut resources! 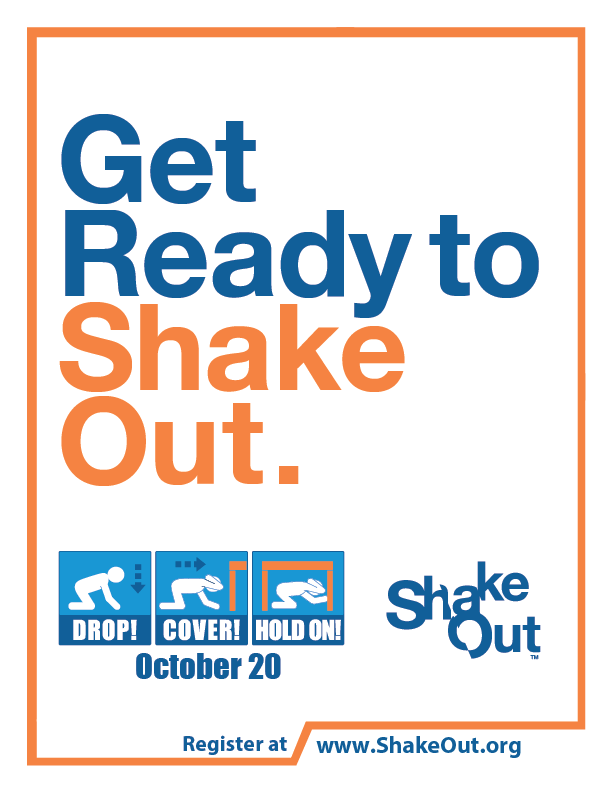 The materials on this page are available to you or your organization to support your participation in the ShakeOut and to promote awareness and preparedness. 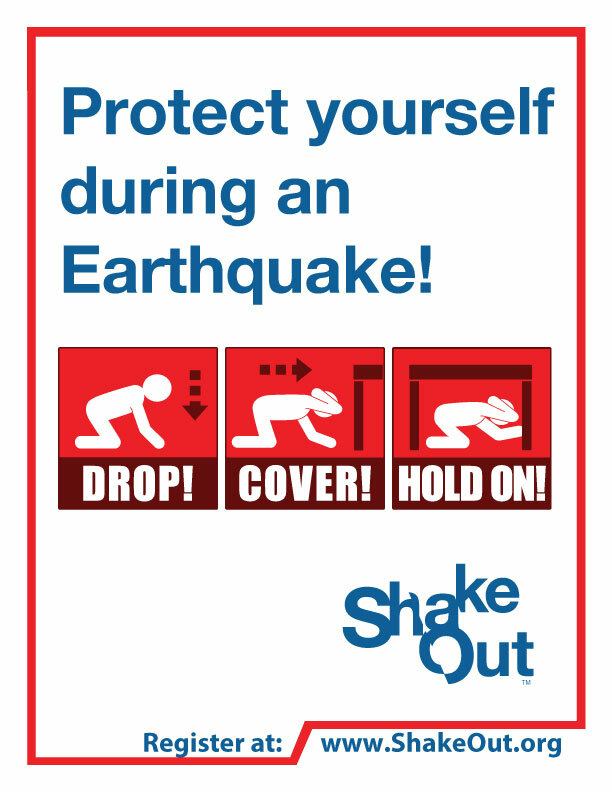 Protect yourself during an earthquake: Drop, Cover, and Hold On! Go-Kit Passport: Available in English and Spanish. Oregon Tsunami Evacuation Map Viewer Living On Shaky Ground Booklet: Available in English and Spanish. Preparedness for Oregonians, videos, posters, pictures, checklists, and worksheets! Audio and Video "Drill Broadcast" recordings created to provide instructions during your Drop, Cover, Hold On drill. 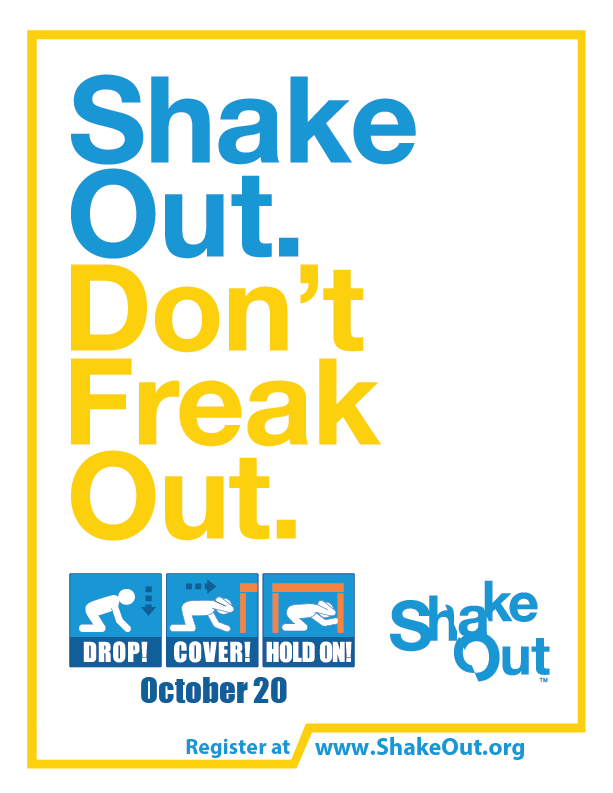 Additional Videos from California that may be useful for understanding or promoting the ShakeOut. Download these PDF files that can be printed at 8.5x11 as flyers, or printed larger as posters. "Drop, Cover and Hold On"
NEW! 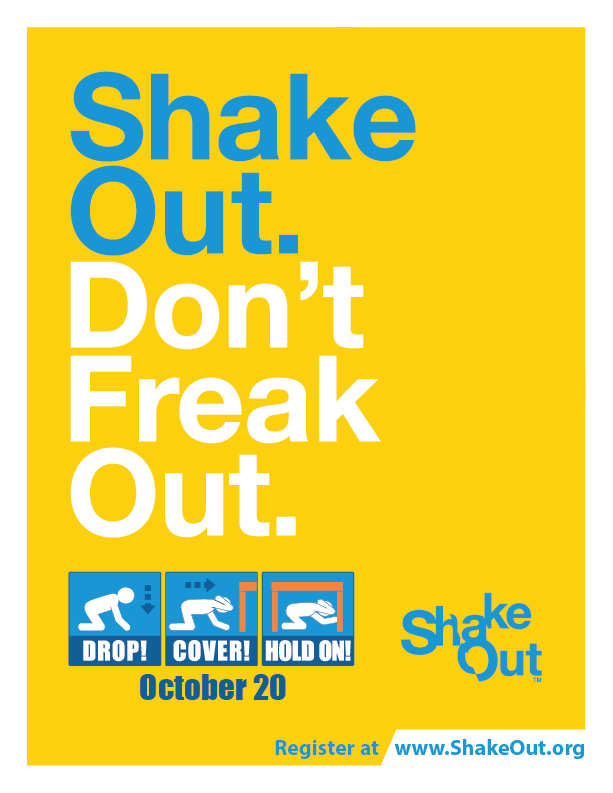 ShakeOut has partnered with FedEx Office to make it more convenient and cost-effective to order high-volume numbers of the ShakeOut flyers seen here, as well as posters seen here of varying sizes on different materials. Additionally, ShakeOut retractable banners are offered at a discounted rate through this partnership. If you are located near a FedEx Office location (generally within 25 miles) the items will be delivered free. 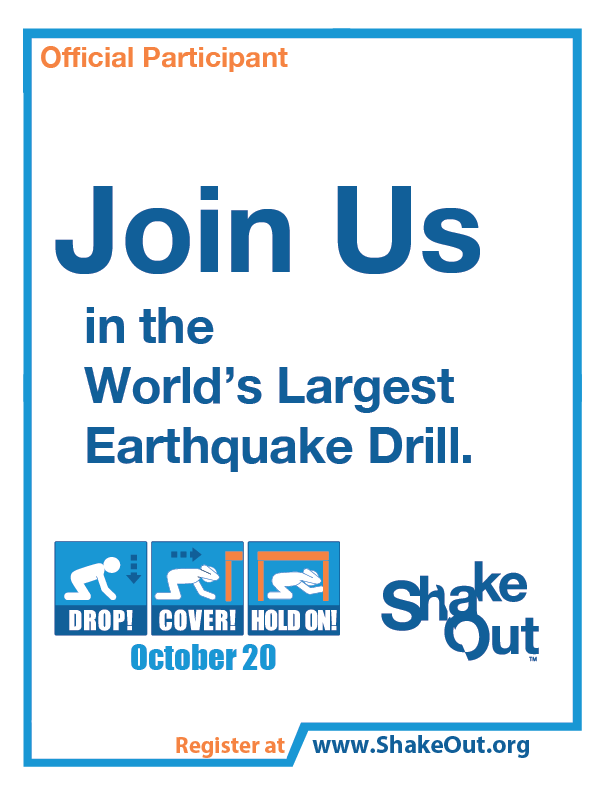 Please visit their external site to view the ShakeOut catalog and review options tailored to you and your location. 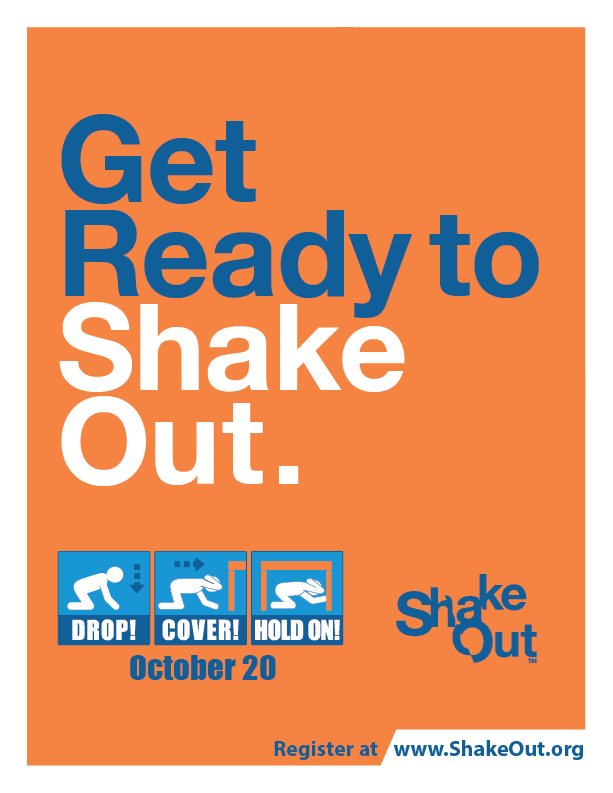 You can place a ShakeOut web banner on your web page or post graphics optimized for Facebook, Twitter and Instagram to encourage participation in the ShakeOut. 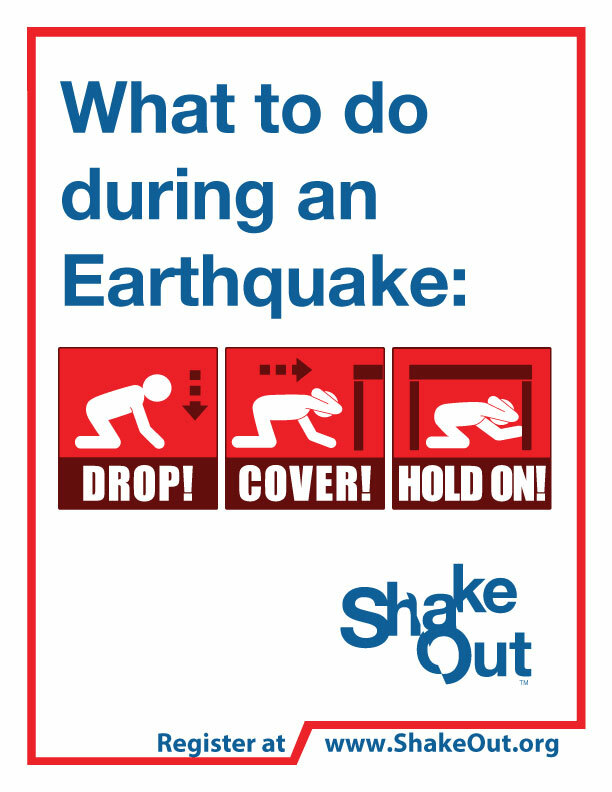 Suggested ShakeOut Descriptions For Newsletters, Web Pages, etc.